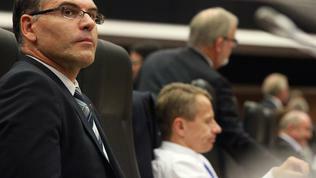 The European Commission has set an ambitious goal the single banking supervision in the euro area to start working as of 1 January 2013. Such an intention stated the European leaders at their summit in June as well. 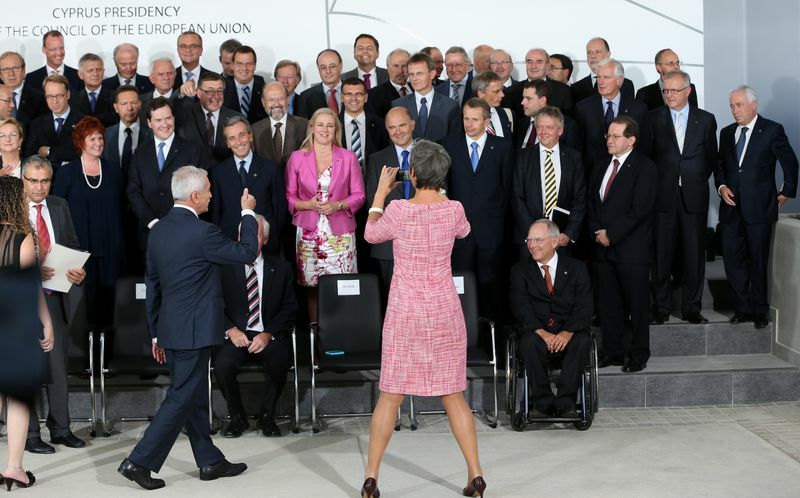 To that end, the Commission draft must be approved by the 27 member states. At present, however, this seems almost impossible. 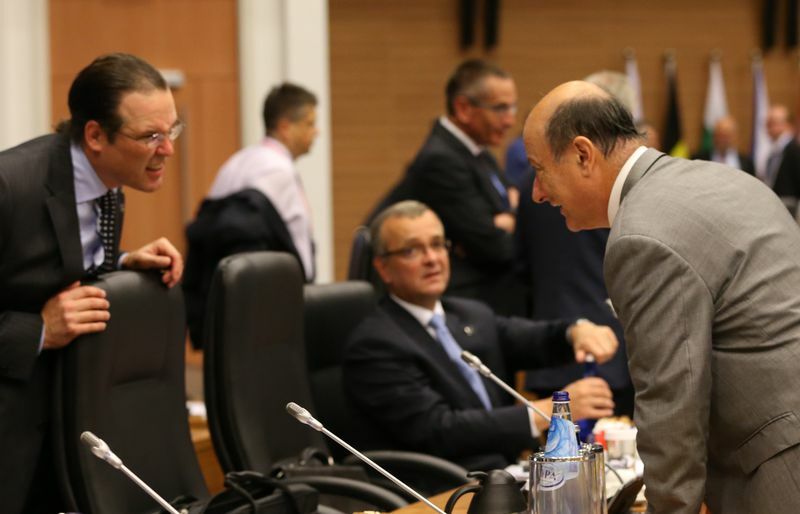 Reactions after the first discussion of the proposal for a single supervisory mechanism (SSM) in the framework of the informal Ecofin Council in Nicosia exposed huge differences in positions. As euinside wrote, the EC proposal provides for the single bank supervision to cover all banks in the euro area and countries outside the common currency area can join on a voluntary basis. To better protect the interests of non-eurozone countries the EC has also proposed amendments to the work of the European Banking Authority (EBA). 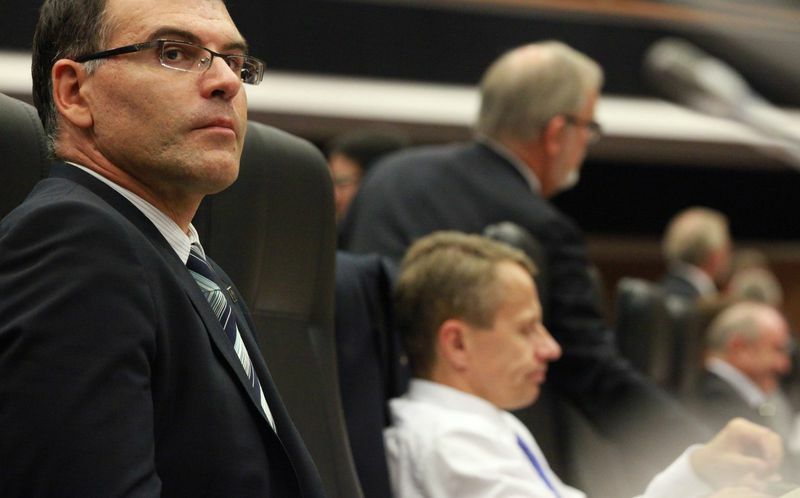 was the most used word in the comments made by Swedish Finance Minister Anders Borg. "We have two red lines in these negotiations," he said. One is that Sweden will not accept its taxpayers' money to be used to support banks in other countries. The second is that "we will not accept a system that would undermine our own tougher rules. For us it would be very problematic to see the ECB taking over supervision of our banks that would undermine the credibility of the financial stability that we are building with tough capital requirements," Mr Borg noted. And on top of all, non-eurozone countries that accept the supervision of the ECB would not be given voting rights- a point that was strongly objected also by Polish Finance Minister Jacek Rostowski. The Czech Republic's position on the banking union is also sceptical. Denmark indicated it may consider joining not because it is too excited, but because at one point it could be "difficult for Denmark to remain outside" the single oversight. Bulgarian Finance Minister Simeon Djankov, who participated the informal meeting in Nicosia too, told Bulgarian National Radio that in general Bulgaria supported the idea of a Banking Union as "a big and right step to develop the single financial market and the single market in general, not only in the euro area", but currently "there are many details that are still too raw and contradictory". The controversial issues are related to the speed of introducing the single supervision, its scope, and protection of the interests of the 10 non-euro countries, Djankov explained. He added that "the introduction of the single banking supervision will not be a problem for banks in Bulgaria as ¾ of the sector consists of major banks represented in Europe, which will either way be covered by this mechanism." The minister said that the finance ministers of the ten countries outside the euro area would gather in Sofia in December to discuss the creation of the single banking supervision. Michel Barnier, European Commissioner for Internal Market and Services, explained that the problem with the voting rights of non-eurozone member states was related to the ECB's internal rules, where only the eurozone countries were mentioned. 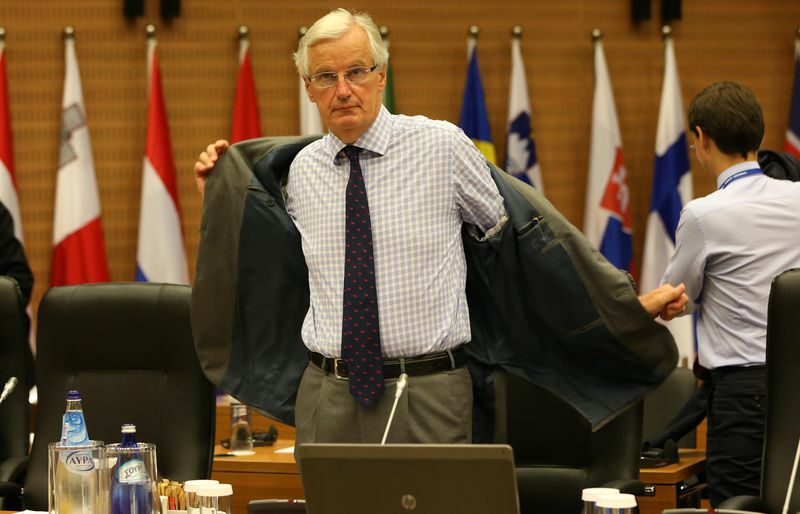 "In the coming weeks we will continue to work on how to improve the association in voting procedures of those countries that are not in the eurozone but who wish to be associated thus being covered by supervision," Mr Barnier said. As for the flexibility mentioned by Anders Borg, which is the possibility for some countries to have different capital requirements, it exists and will continue to exist under the single supervision, Barnier said. 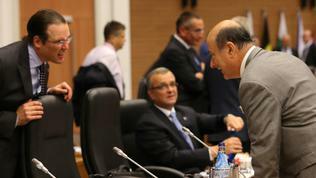 At their meeting, the ministers discussed a policy brief by the Brussels based think-tank Bruegel, entitled "The Fiscal Implications of a Banking Union." The authors believe that although it is important to safeguard (and to complete) the Single Market, more important is "to repair the deficiencies of the Economic and Monetary Union, and ensure the stability of the European currency." That means, whatever concerns the non-euro countries may have against the banking union, this should not be an obstacle to its creation. However, the authors recognise the need for the banking union to "take account of the EU member states that are intending to join the single currency, by making it possible for them to participate where appropriate and to prepare for eventual full membership." The second assumption in Bruegel's paper is that having a credible fiscal backstop is vital for the banking union. The authors believe that single banking supervision at European level must be accompanied by a common European resolution regime and a common fund to pay for it. "The logic of centralising resolution is compelling once supervision is centralised, but full centralisation would require significant changes in national insolvency, labour and tax laws." According to the report, the Commission proposal for harmonising national resolution frameworks "would not suffice for a banking union." On the other hand, the creation of a common European fiscal backstop would increase moral hazard by allowing national authorities to shift the burden on European taxpayers, so a much higher level of centralisation is needed. that make it able to take swift decisions in emergencies." In the same vain the EU leaders have decided in June that once the single supervision is established, the ESM would be allowed to recapitalise banks directly. 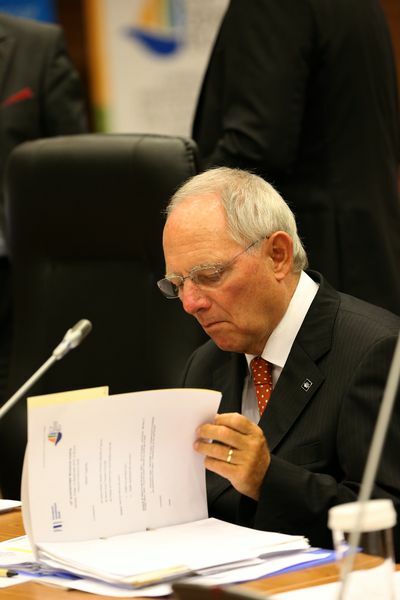 Although countries like France, Belgium, Italy and Spain urge this to be realised as soon as possible, German Finance Minister Wolfgang Schaeuble remains sceptical. He warned that it was dangerous to create expectations, including among market participants that could not be met. 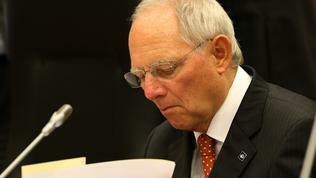 "I don’t see that there can be direct recapitalisation through the ESM as of 1 January," Schaeuble stated bluntly. Bruegel's analysts say that from a fiscal standpoint centralisation of deposit guarantee schemes is a second-order issue, since "deposit insurance cannot credibly insure against threats to the integrity of the euro area". However, from a political point of view, this issue, together with the bank resolution fund, is explosive because they both reach after the savers' pocket. No politician is ready to tell their voters that their money would be used either to guarantee savings in other eurozone countries or to bailout foreign banks. 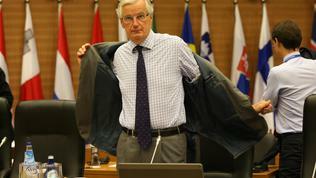 Obviously, the European Commission is not ready to say so too. The expectation that together with its proposal on common supervision Brussels would identify as next stages in the banking union creating common EU deposit guarantees and common bank resolution fund did not come true. According to The Financial Times - because of Germany's opposition. The roadmap to create a Banking Union, presented by the European Commission on 12 September does not mention creation of a common deposit insurance scheme at all. "Once agreement on the existing DGS and Bank Recovery and Resolution proposals is achieved, the Commission envisages to propose notably a single resolution mechanism," the document says. Current proposals on deposit insurance and bank resolution, however, retain responsibility at the national level and only aim to harmonise the rules across countries. And a common resolution mechanism does not mean a common fund. From the statements Commissioner Barnier made in Cyprus it became clear that there hardly be a qualitative leap in this regard, at least for now. There is no way I would suggest that guarantee fund for German savers be part of a general pool that would be backing other people's guarantees in other countries elsewhere in Europe, Barnier said. "We want to boost protection of national schemes to protect national savers," the Commissioner underlined. He believes it should be possible these national funds to lend to each other under clear conditions and over a five year repayment time frame. is another unknown variable in the equation, the solving of which it will depend on whether an agreement on the banking Union can be reached by the end of the year. The problem is that the EP is not a co-legislator on the single supervision mechanism and will only be consulted by the Council. The Parliament, however, is fully involved in the adoption of the other regulation accompanying the SSM - on the European Banking Authority. 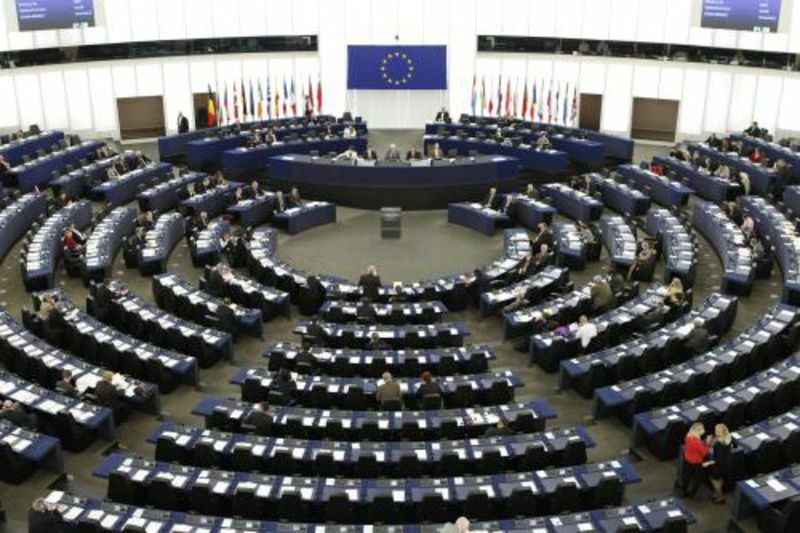 So the lawmakers announced in a special resolution that they would consider both regulations in a package and urged the EP to participate in all decisions in terms of the banking Union on an equal footing with the Council. And since the SSM cannot be adopted without changing the EBA rules in parallel, MEPs can really make the member states' life bitter. They in turn have to solve so many problems among themselves that the time until Christmas seems too short to strike a deal. news Mario Draghi: Do Not Forget To Complete The Euro Area! 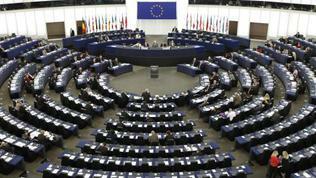 news Will EU Miss the Window of Opportunity to Deepen the EMU?